Well, the beginnings of it, at least. I think I just solved my first challenge, which was working out how I managed to end up with an extra stitch already. 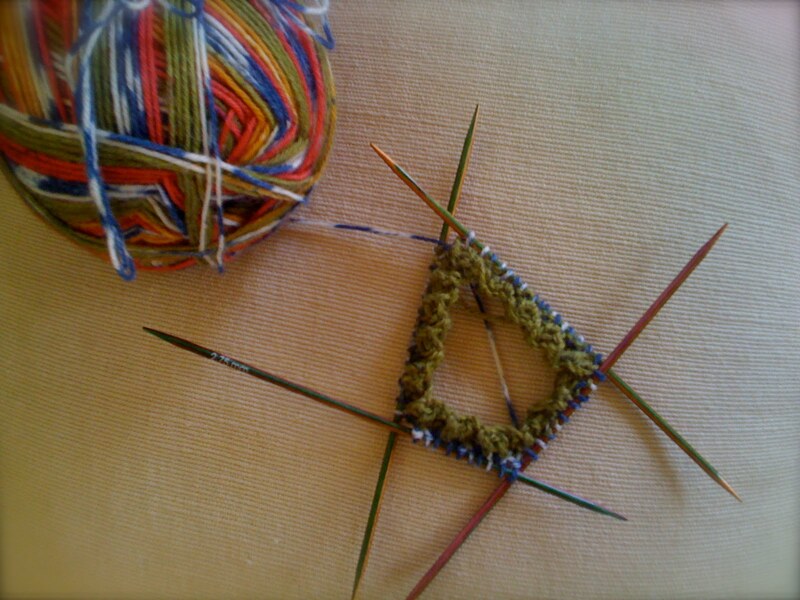 I think I'd gotten the yarn twisted when changing to the next needle in this needle chopsticks game that is knitting on dpns. I will get better at it, I'm sure! How's your creative space fairing this week? To visit many more, check out the linky list at Kootoyoo! my head hurts just looking at this!! good luck! i still do that on socks on dpns! its like an accidental yarn over. you do get better at it that, yay for knitted socks!! Well done for starting a sock! I hear their addictive. It's looking very good so far! Great job!